Volunteer with LLAM on May 19th! 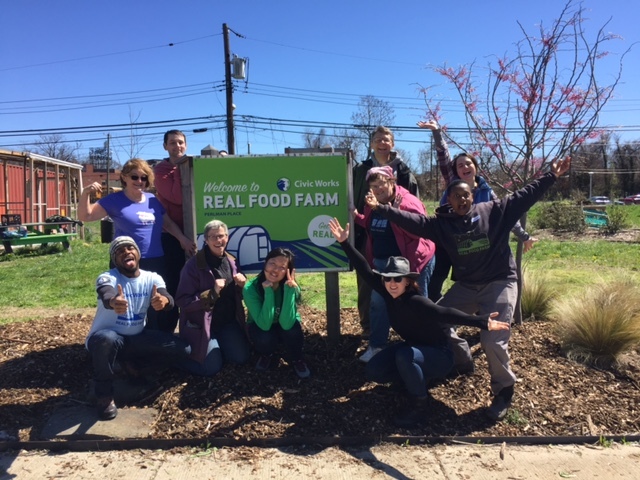 By popular demand, we are once again volunteering at an urban farm with Civic Works. LLAM members and their family and friends are welcome to join us. Space is limited, so RSVP soon! We had a great time last year! View the pictures! • Provide hands-on educational opportunities for Baltimore’s youth. Our main task will be fixing a hoop house (tent-like greenhouse) that was damaged by wind storms. Other tasks in our shift may include planting, weeding, invasive species removal, compost spreading, bed preparation, fruit tree planting, and lots more. There will be tasks for people of all physical and technical abilities. Be sure to bring a water bottle, close-toed shoes, and work clothes. This will be our second-to-last event of the 2017-2018 year. Stay tuned for Spring Fling details in the coming weeks!